3.Initiate a Recharge of amount 50 or more. Note : Offer not valid for airtel transactions. 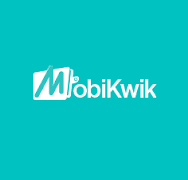 4.Enter Promo Code : BEN10 Under "I HAVE PROMO CODE"
5.After Recharge Done you will get 10 cashback in mobikwik wallet. 1.Offer valid once per mobikwik user. 2.Offer applicable for all operators exept airtel. 3.Offer valid till 23th Oct'15.